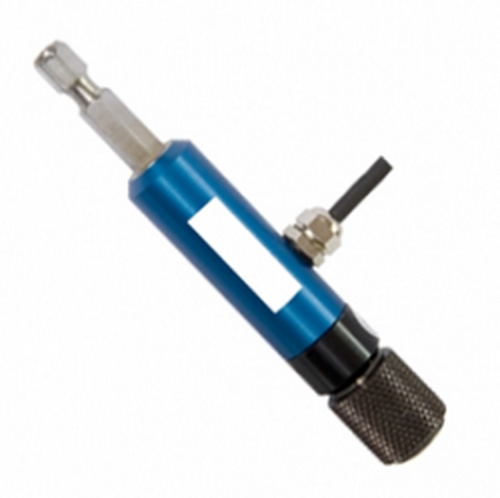 The Hex drive static torque sensor offers a perfect mixture of size and capacity range. With a diameter of only 15.5mm and its quick-connect chuck, it is a great selection where tight environments or space is a challenge. Assembled with a standard hex-style screwdriver bits, it becomes your best in class torque gauge for auditing after final assembly. This remote hex drive torque sensor is recognized automatically by our Centor Touch Star and Dual force and torque gauges. It can complete a set of force and torque instruments at a very reasonable price. The sensor parameters are stored in the memory of an electronic board located inside the sensor connector and they are read by the Centor Star or Dual instrument, which is automatically configured and becomes a torque gauge without the operator having to make any adjustments.